3 piece duvet cover set - includes duvet cover and 2 shams. Striped design in blue and white. 200 thread count. Cover cover. Machine washable. 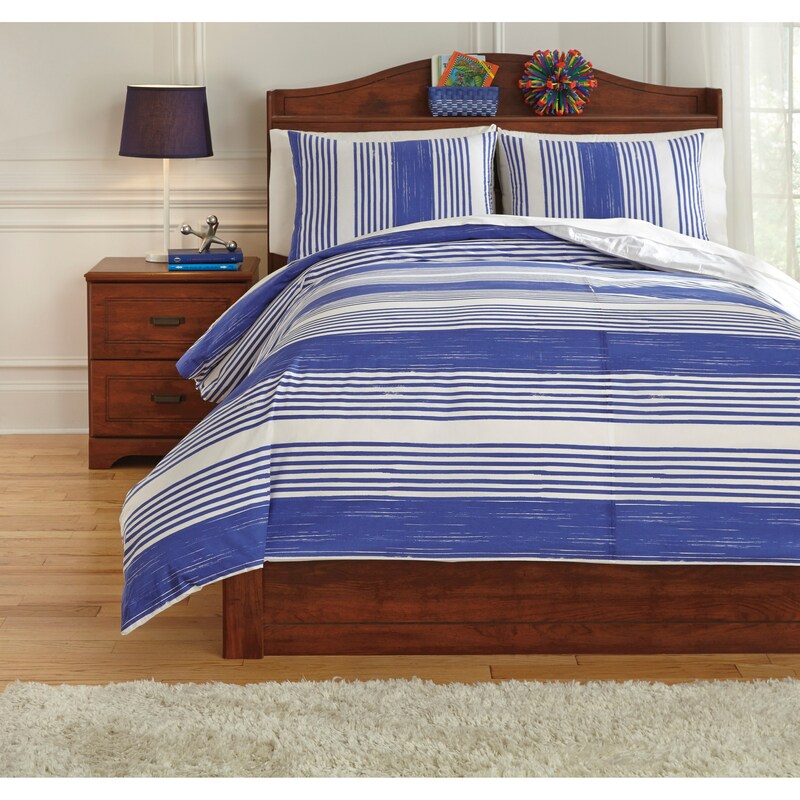 The Bedding Sets Full Taries Blue Duvet Cover Set by Signature Design by Ashley at Furniture Fair - North Carolina in the Jacksonville, Greenville, Goldsboro, New Bern, Rocky Mount, Wilmington NC area. Product availability may vary. Contact us for the most current availability on this product.